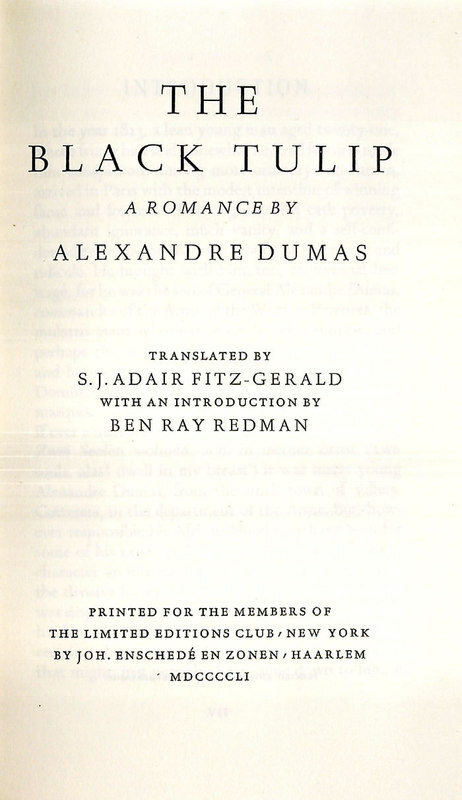 Fitz-Gerald, with an Introduction by Ben Ray Redman.New York: Printed for the Members of the Limited Editions Club by J. Enschedé, Haarlem, 1951. 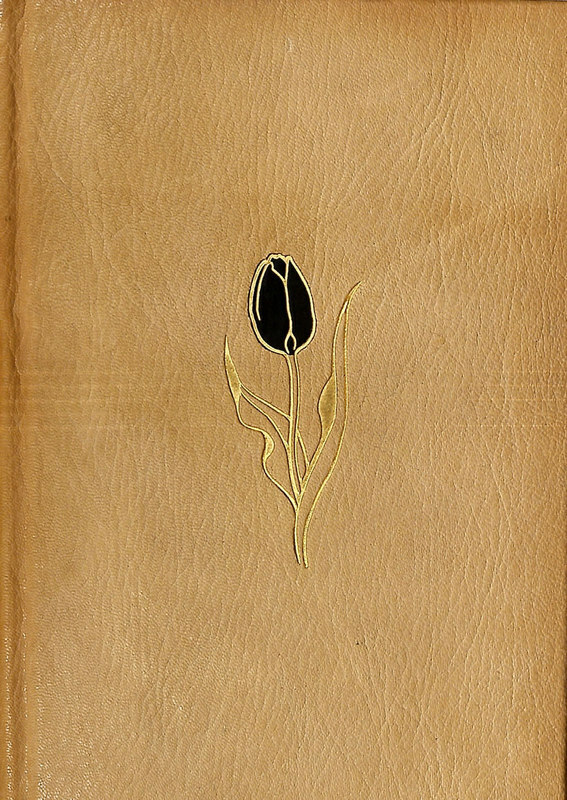 This edition features a stunning full leather binding with a black tulip inlay. 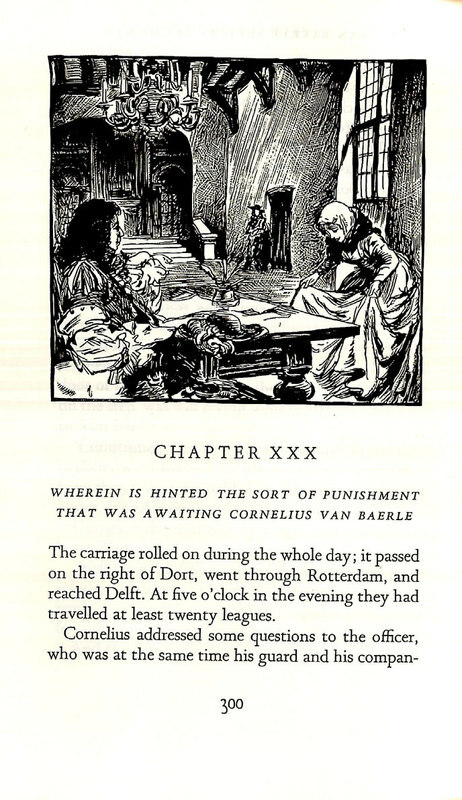 Sample Plate from the "Black Tulip"